Northern Ireland Under-21 manager Steve Beaglehole says the Republic's success in reaching Euro 2012 could tempt some of his players to switch allegiance. Fifa allows players born in Northern Ireland to declare for the Republic regardless of blood ties. Several have taken advantage of the controversial rule, despite spending time in the IFA's youth set-up. "The Republic's qualification could make things harder," said Beaglehole. "The FAI are spending more money on recruitment, on scouting, they go away three or four days earlier than we do when they meet up and they put them in top hotels. "Now they will have even more money and their budget will go up again. "Northern Ireland not qualifying means our budget remains the same or even goes down. "For them that can mean extra training days or a couple of new members of staff. And in terms of the attractiveness of playing for the Republic, it is something their recruitment people can use." Beaglehole feels that, whenever a player does cross over, compensation should be paid to the rival association. 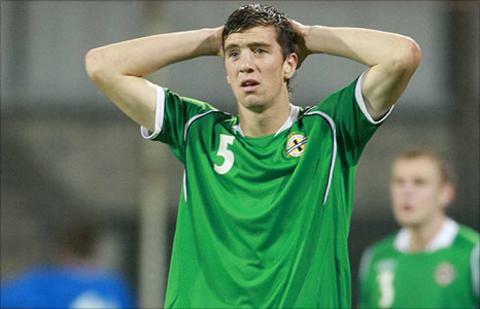 "I don't blame the Republic for wanting to look at Paul George or Shane Duffy. "If I was working for them I would want to because they would improve the team," he told PA Sport. "The thing I can't understand is that there is no compensation. When they are getting richer and richer, and we are getting poorer, it would be nice to get a set figure for someone like that who has had three or four years with us. "It works that way in club football." In recent years, Northern Ireland have seen young prospects like James McClean, Dan Devine, Daniel Kearns, Duffy, and George pledge their senior international futures to the Republic. Previously, they had represented Northern Ireland at age group levels.